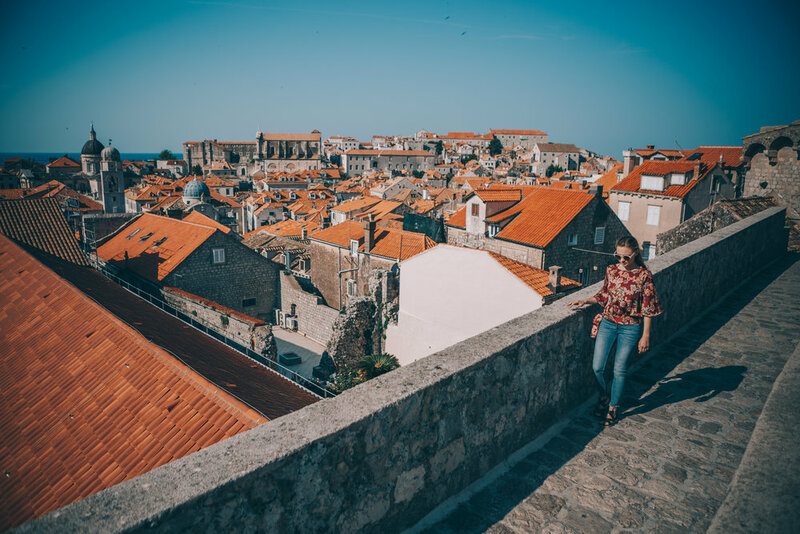 One of the most popular touristic activities in Dubrovnik is to buy a ticket to access the extensive city walls and walk their circumference, enjoying the awesome views of old town they provide. The attraction gets pretty busy during the day, so we were sure to get there right when the walls opened at 8am to enjoy the walk in relative solitude. Dubrovnik Old Town features a nice stew of gothic, romanesque and baroque architecture which can be appreciated properly from the vantage the walls afford. The nearby Island of Lokrum was also visible during the walk, but unfortunately we weren’t able to catch a ferry over to enjoy its apparently gorgeous environs (at least on this trip). At the end of the day with we ducked through a hole in the city walls to check out one of the Old Town’s popular cliffside beach bars. These watering holes offer a unique scene of locals and tourists drinking, swimming and hanging out with the stray cats that adopt the rocky waterfront establishments as their home. Heeding the advice of a blog post, rather than paying exorbitant prices for drinks at the bar, we bought some cheap local beer at a market and brought it down past the bars seating area to the public beach below for an equally awesome and much cheaper experience.